My last post was from the far north of Norway. 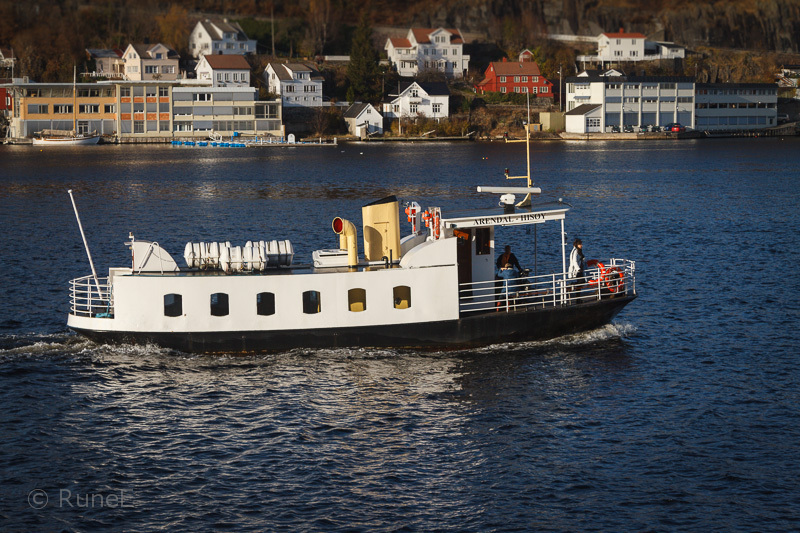 This one is from a comparable far south part of our country - The town of Arendal. The difference might give an indication of how long our little country is. From time to time we spend some days here and these photos were shot last Monday. 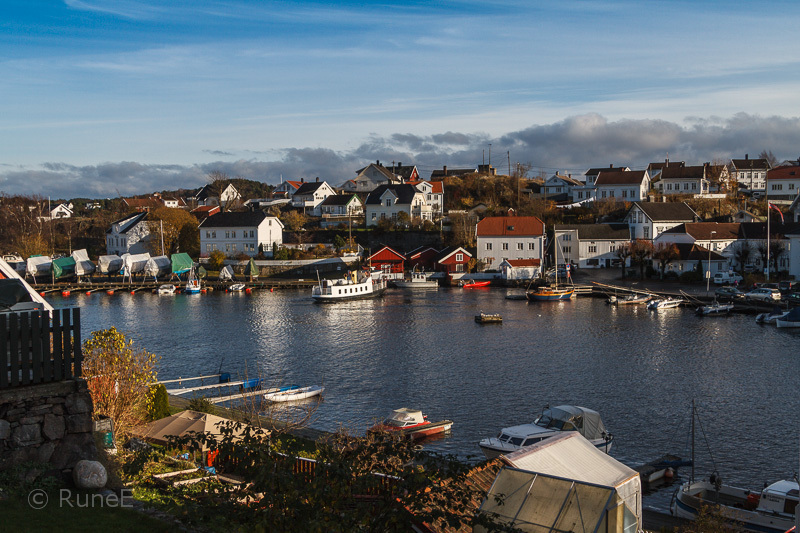 All photos are also from a small island called Hisøy which lies very close to the town centre, but you don't have to swim: You can take the small passenger ferry Kolbjørn across. It takes five minutes. An ideal solution. You can wander among small, well-kept, white houses. You might even meet one of the local inhabitants. The local population takes pride in maintaining their houses (many go back at least to the 18th century) as nice as possible. Here it is an old fire station that is being rehabilitated. And you never get a chance to forget that you are very close to the sea. Herlige bilder RuneE! Virkelig høstlig slik som høsten skal være. Her er det hvitt-hvitt og kaldt! Ønsker deg en super fredda'! I would have fun riding the ferry back and forth half the day. A beautiful and charming town. I can imagine hearing the horn of the ferry as it approaches the dock. Nydelige bilder! og jeg falt veldig for det 3. og 5. bildet! med katta og den idylliske veien som snor seg oppvoer :)samt refleksjonen i vannet! ser spor av høsten også, i den veien..
Også en flott heading, blankstille sjø! So warm looking that see - love the third shot - not sure I could get down to take such a low view shot these days. What a lovely country you have, Rune!! I have greatly enjoyed the tours you've taken us on! I do love living near the water as I do here in Seattle, so I would enjoy being there as well! Wonderful captures!! Thanks for sharing! Enjoy your weekend!! what stunning pics ...you have done me good today!!! Hei Rune! Nå har jeg bladd i arkivet og oppdatert meg litt hos deg, utrolig mye flott som alltid. Håper alt står bra til på din kant. Living close to the sea offers a different way of life. Your photos demonstrate an area where the residents are careful and obviously proud of their environment. A very appealing place, Rune. This might sound silly to anyone who knows both places, but it reminds me of Nova Scotia (I've never been to Norway). Rune, Your work has progressed so wonderfully over the years. Your subject matter and the image quality are all just stunning. It's a joy to see your work. I'm loving all of this photos. The colors are so magnificent, all of the contrast and of course the beautiful water, which is so appealing to me. The town of Arendal is so gorgeous. I can just imagine taking the ferry and experiencing a nice walk around the interesting houses there. Just another great post, Rune! Beautiful, just beautiful. I enjoy seeing your photos. 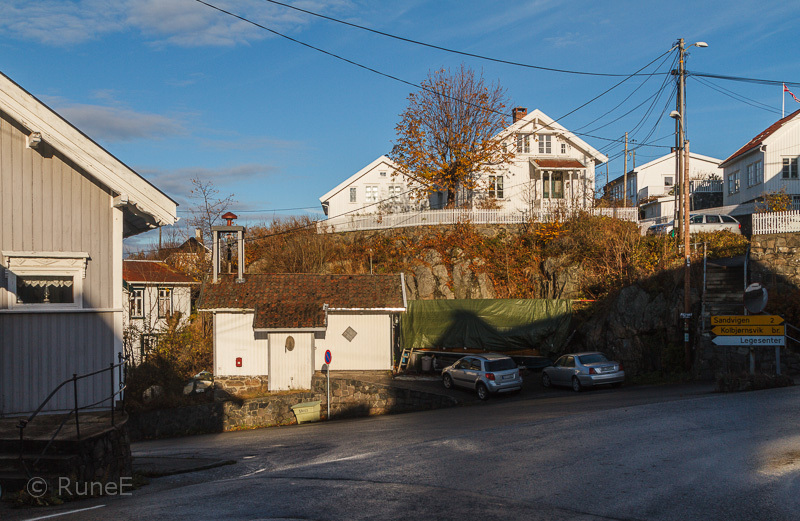 These photos make me want to visit Arendal. What a beautiful place. I really like the first image Rune. Boats and ferries seem such a natural part of life in this area. The part of the town in the first photo looks absolutely picturesque. Thiese photos were simply stunning! Jøsses, som du farter da! Flotte billedserie fra en varmere kant av landet. Ser det er fint høstvær, lekkert med de gule bladene på bakken. A real beautiful place, but - as you know I love Norway, my friend. Ser ut til å være en sjarmerende by - som jeg aldri har besøkt. Likte veldig godt bildet med pusen..der har du krøpet litt langs bakken eller no - flott fokus! Looks a wonderful place to visit - and wonderful clarity of light. 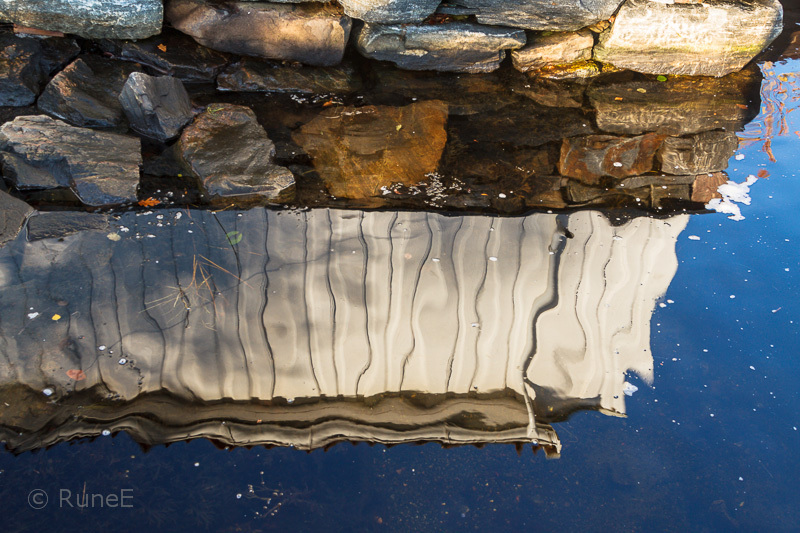 Thanks for the photojourney through idyllic and enchanting places. But that last picture "takes the cake"! You ought to work for the Norwegian Tourist Board - your shots just want to make me visit your country more and more. Love that reflection but my favourite has to be the one with the cat, such a great pov. I absolutely agree with what Barbara said above, does the tourist board know what a fabulous job you are doing! I definitely want to visit Norway each time I see your blog! I love these photos and had to make sure I shared with all of my travel loving friends! 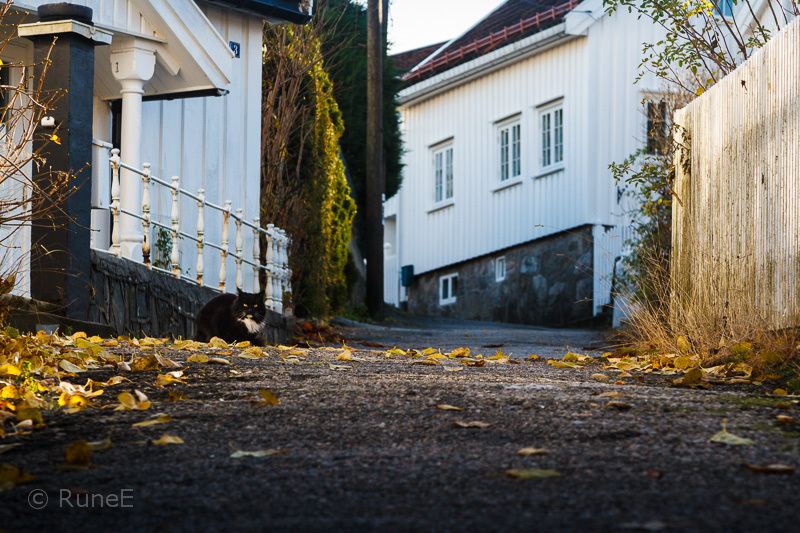 My favourite photo is the one of the autumn leaves, the otherwise clean street and the cat. How well you captured this tranquil scene! Når jeg finner sånne poster i en blogg blir jeg rett og slett glad. Nydelige bilder fra et vakkert sted. Og du, det pusebilde gikk rett inn på farvorittlisten. Spennende vinkel som gjorde det lille ekstra. Is this mostly a fishing town? Gorgeous shots. I like very much these landscapes and I'd like to live there. Have a nice week. What a beautiful town! Your water shots and the light you use make for exquisite photography. For reference the south of Norway is almost 20 degrees north of us. Oh yea the typical Norway towns and houses. I'm always head over heels in love with them. Herlige bilder fra Arendalsområdet. Ser idyllisk ut selv med de høstlige fargene. Beautiful Country. Your pictures are a delight!